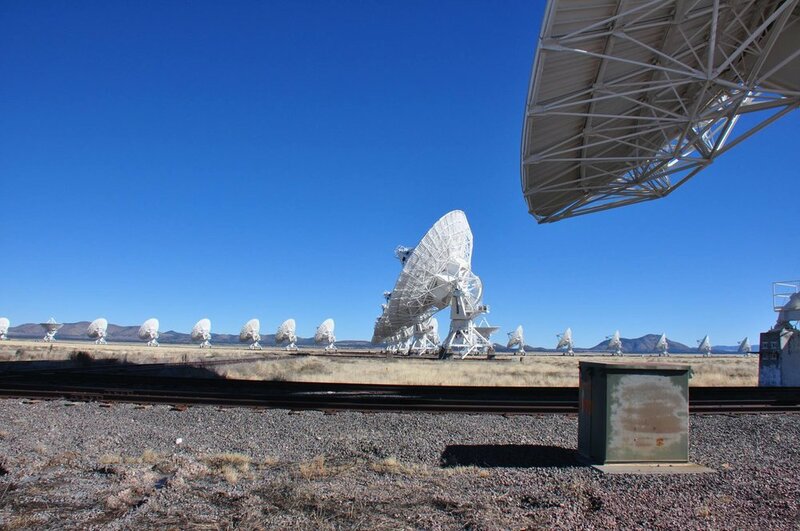 Visited the Very Large Array on the way home from the Bosque del Apache. 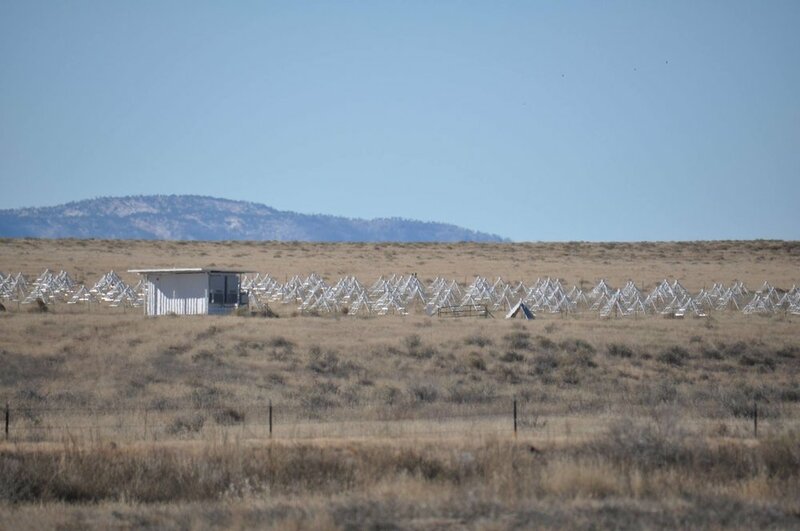 The Very Large Array, one of the world's premier astronomical radio observatories, consists of 27 radio antennas in a Y-shaped configuration on the Plains of San Agustin fifty miles west of Socorro, New Mexico Each antenna is 25 meters (82 feet) in diameter. 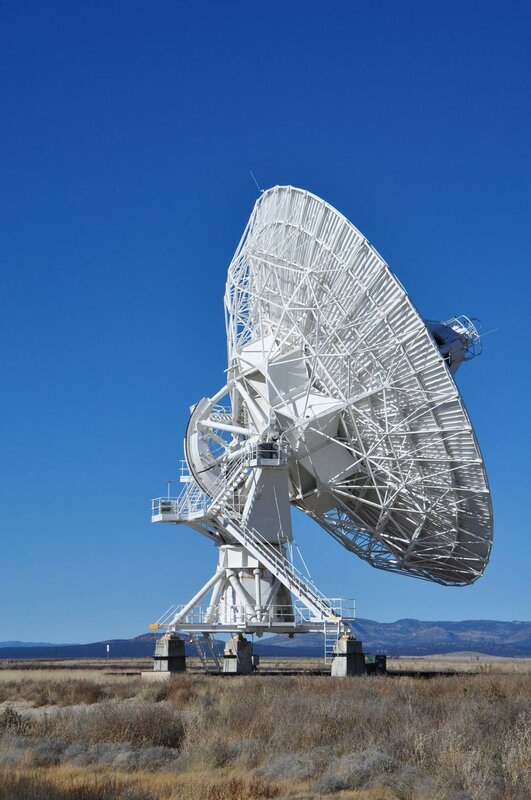 The data from the antennas is combined electronically to give the resolution of an antenna 36km (22 miles) across, with the sensitivity of a dish 130 meters (422 feet) in diameter. 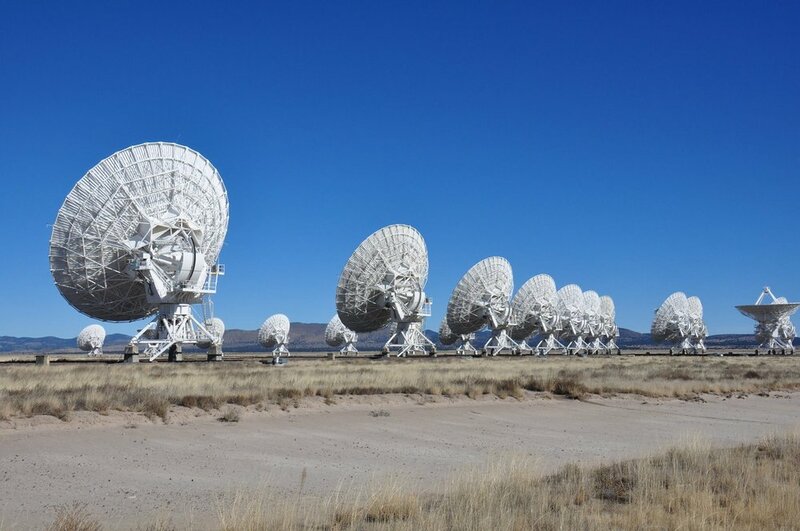 It's been the setting for many movies including Contact starring Jodie Foster.